If you've ever thought that your home could use a proper, thorough deep clean, then it's well worth looking for some professional assistance. House cleaning is tough, because of the sheer amount of work that you have to do, but here at One-Off Cleaning we'll take care of it all! We provide convenient and high quality one-off cleaning services that'll help bring any house or flat up to scratch. Our professional cleaners will save you tons of effort, and loads of time. So for a complete and completely effortless home clean, give us a call on 020 3397 3282. We're lauded as the finest one-off cleaning provider in Dagenham, and it won't take long to see why! Give us a try today! Our professional process starts with the customer, and focuses on what they want. We understand that no two customers and cleaning jobs are identical, so we aim to do the best job we can with that in mind. We provide one-off cleaning help to anyone who needs it. Just a simple phone call is all that's needed, and we'll dispatch a team of experienced cleaners at your convenience. They will take care of all of the jobs, and provide a thoroughly stress-saving spring clean. Our services are some of the most affordable in the RM8 area, too. So you'll have plenty of money left over after we're finished. For a dependable cleaner in the RM10 region who won't break the bank, get in touch with us today at 020 3397 3282! What is Dagenham Famous For? Dagenham is a suburban district of East London, and it is a prominent residential area with a lot to offer. It's appropriately part of the London Borough of Barking & Dagenham, and the southern part of the area borders the River Thames. There are many pieces of historical architecture here, like Valence House, one of (and the only surviving example of) the five manor houses of Dagenham. 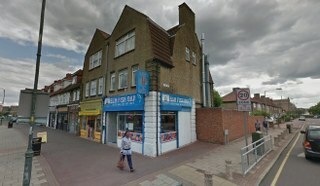 Dagenham is well known for its pubs, too. The Roundhouse for example was a premier musical venue, hosting many famous bands like Led Zeppelin and Pink Floyd. The Eastbrook is another Dagenham pub, and a Grade II listed building famous for its interior design. Getting around in Dagenham is easy enough too. Both Dagenham East and Dagenham Heathway are London Underground stations on the District line. London buses also provide convenient and frequent services in and around the area. Dagenham has grown over the years into a sought-after residential spot. There is a lot to see and plenty to do if you look beneath the surface, and is well worth a look! Let Dagenham One-off Cleaners Handle Your Spring Clean! It really is worth having a good clear out every now and again. By hiring one of our one-off cleaning services, you'll cut down on all of your future cleaning workloads, and will make the house a nicer place to be in general for both your family and visitors. So to gain access to some of the finest cleaners in and around Dagenham, what do you have to do? Simply call us today on 020 3397 3282! Even if you are not completely sold, give us a call and we'll provide a no obligations price estimate without any hidden fees. A simple phone call to One-Off Cleaning is all that's needed to hire the highest rated one-off cleaner in the RM9 area.